©2014 Blue Ridge Life Magazine : Photo By Tommy Stafford : Mother nature continues to cooperate in a major way as Wintergreen Resort keeps on putting down the snow. It’s the earliest ever in their history that snow’s been made. This is looking at Eagle’s Swoop from the Nature Foundation Overlook just above the Mountain Inn. 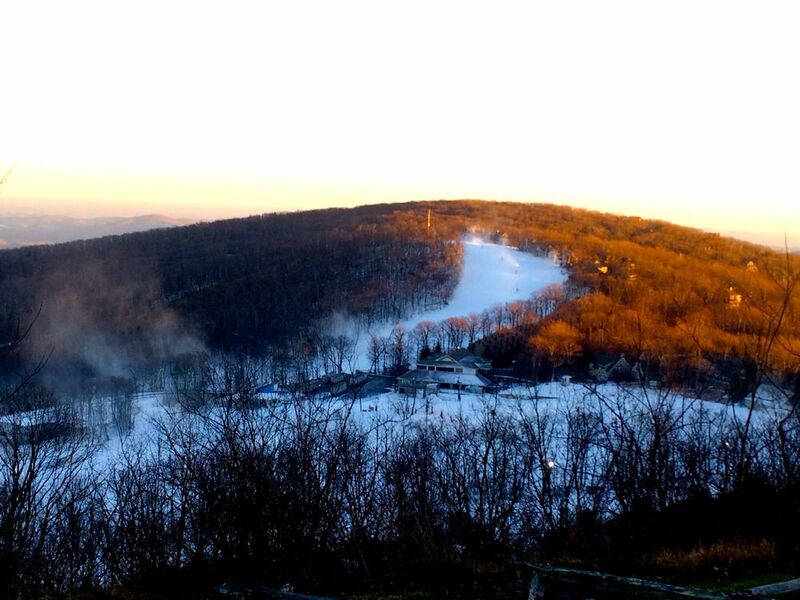 As we told you several days ago, Wintergreen Resort started making snow, the earliest ever. Ultra cold temps with overnight lows in the single digits have allowed the resort to keep making snow around the clock. Their plans are to open the weekend following Thanksgiving. That would be a first as well!